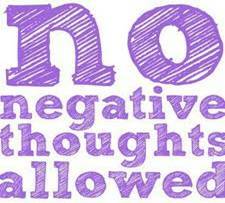 Shielding Yourself From Negativity - Something New Everyday! Shielding yourself from negativity will help you in many ways such as strengthening your thought processfor better personality development, focusing on solutions instead of problems and attaining peace of mind in nearly all kind of tough circumstances. The intention of staying away from negativity is not to ignore the tough realities, rather to change your focus on things which matter most so as to change these tough circumstances. For example, keep worrying about joblessness will not bring you a new job. Instead, Focusing on applying for jobs, developing interviewing skills, reading personality development articles, refreshing your knowledge will definitely improve your probability of getting new job. Focus is very important tool to shield yourself from negativity. Remember the fact that what you focus on, increases. Which means if you focus on negative things, you will end up having negative personality. On the contrary, if you focus on finding solutions to the problems, you will be successful; sooner or later. Your focus decides the direction of your thoughts; your thoughts give birth to actions. These consistent actions become your habits and eventually make your overall personality. 1- On your smart phones, download wisdom quotes and other personality enhancement applications from relevant app libraries / stores and read them often. Keep trying new applications every week. 2- 'Like' Facebook pages such as Positively Positive, Wisdom quotes, Positive thoughts etc to start receiving daily dose of wisdom. 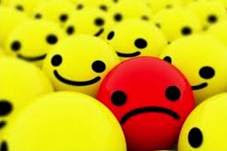 3- Stay away from negative souls. They are consistently polluting your brain. Check if you are surrounded by such people who criticize things all the times. If yes, change your company. 4- If you notice that a discussion is going negative more and more, try changing the topic towards something exciting, healthy and fruitful. 5- If your family members are negative and you do not have a choice to leave them, then you must program yourself to deal with such consistent negative situation. For example, upon a disheartening comment from your brother you can say "OK brother, you have a great point" Say it then laugh inside your heart and shun the comment immediately. This skill requires some practice but once properly implemented, will generate a powerful impact on your personality. 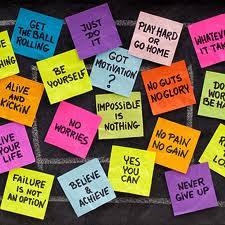 6- Keep telling yourself that you can make things happen. Believe in yourself and you will see that your subconscious mind will find out a way to make things happen actually.